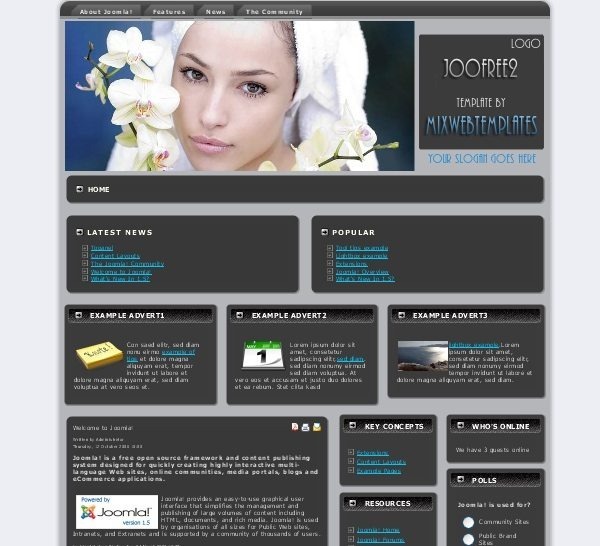 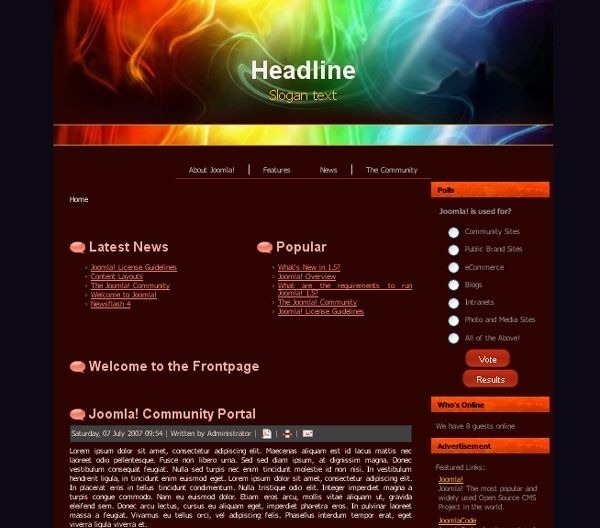 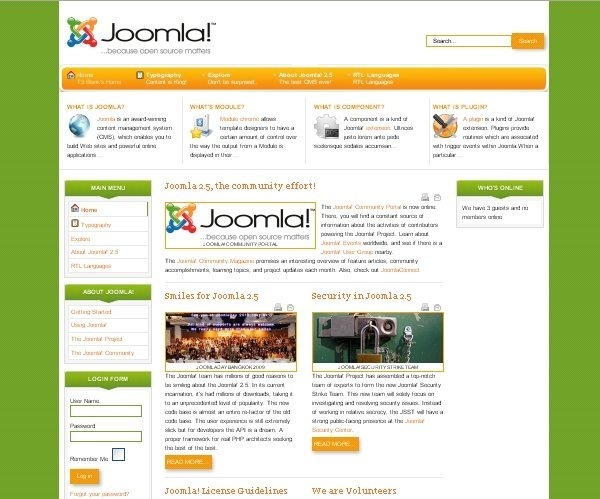 Joomla is known as a powerful content management system. 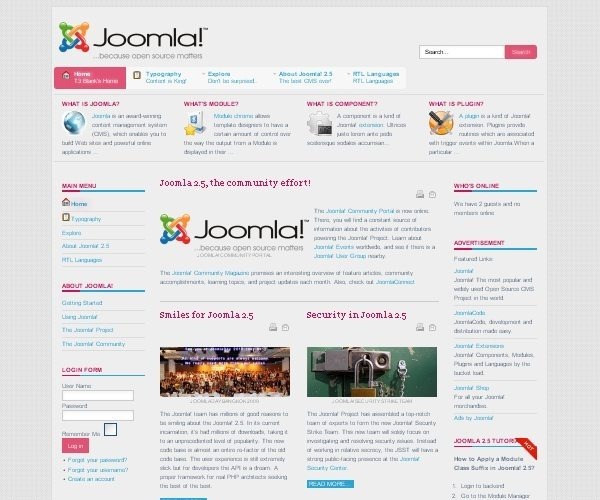 It enables users to build a wide variety of web sites and blogs and it has something to offer programmers, designers and webmasters regardless of the level of experience. 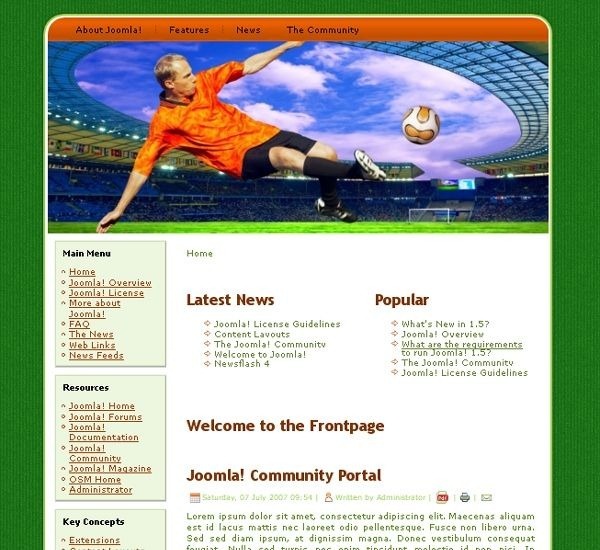 Millions of people have already downloaded Joomla and they have many reasons for this: first of all, Joomla is an open source project meaning it will cost you nothing to try it out; also, thanks to its features and flexibility Joomla makes it easy to setup and manage any site from a personal blog to a huge corporate site; finally, as the Joomla community is growing every day, so does the number of Joomla templates and Joomla extensions. 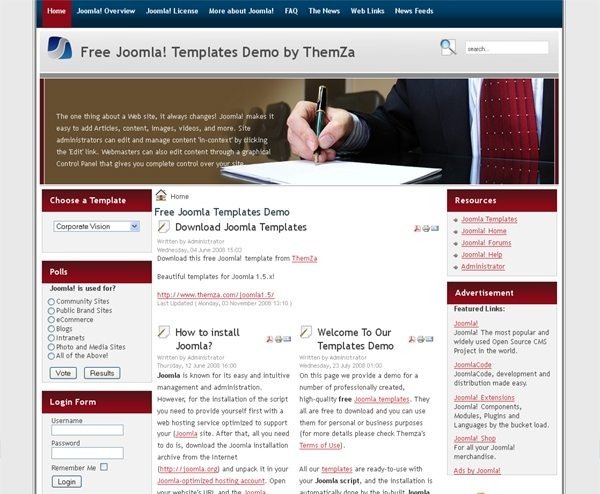 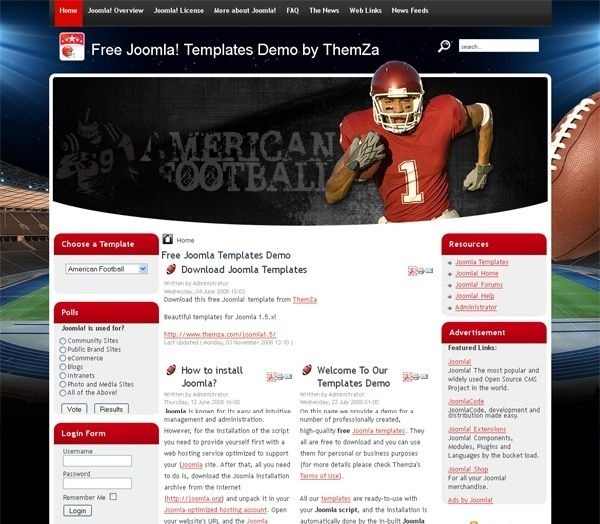 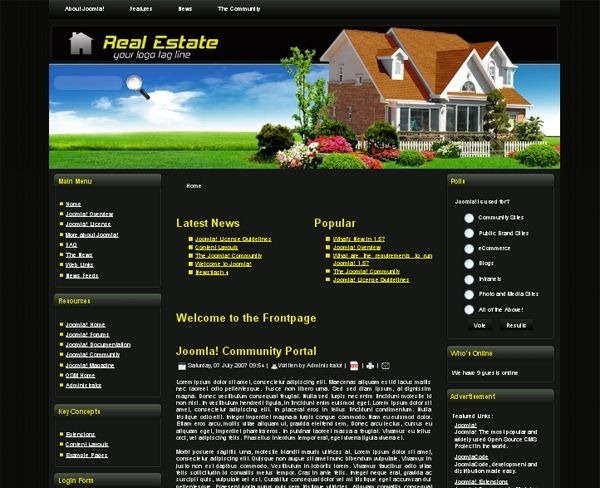 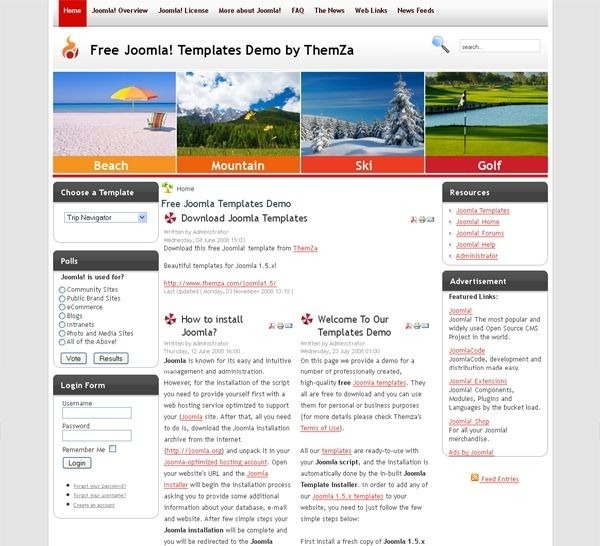 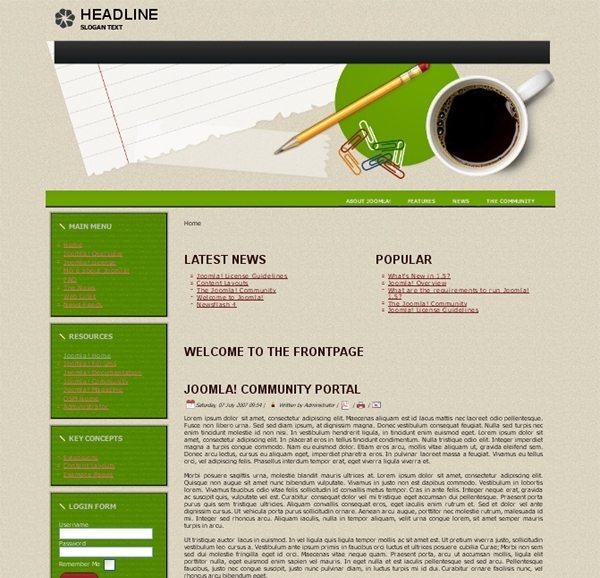 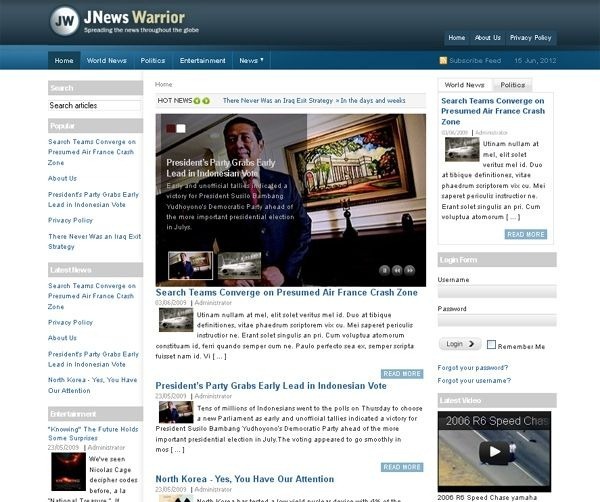 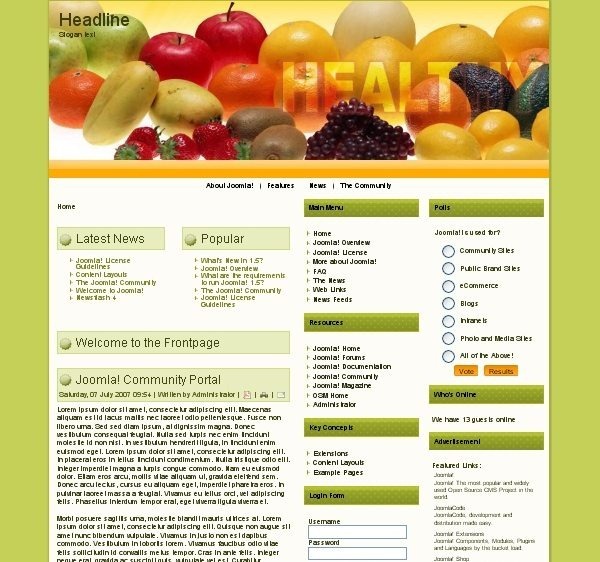 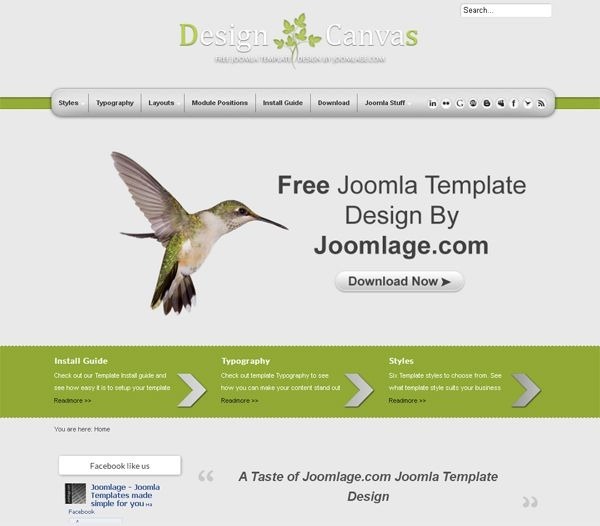 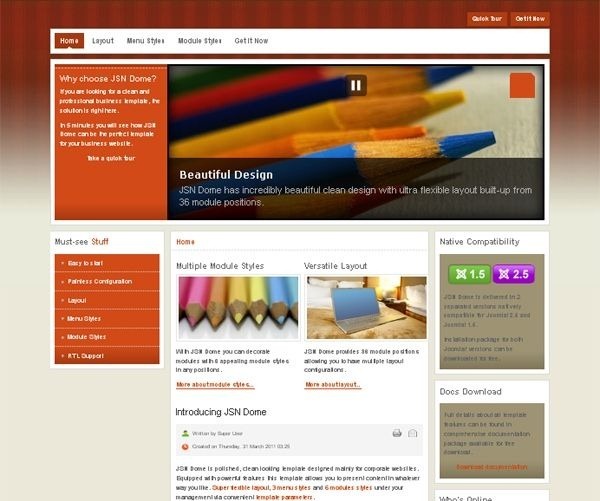 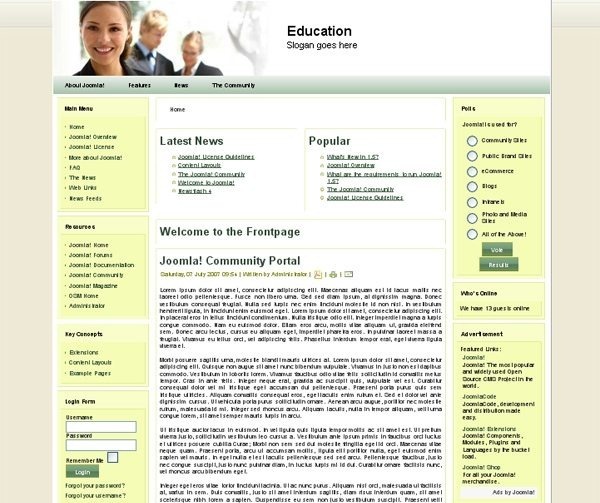 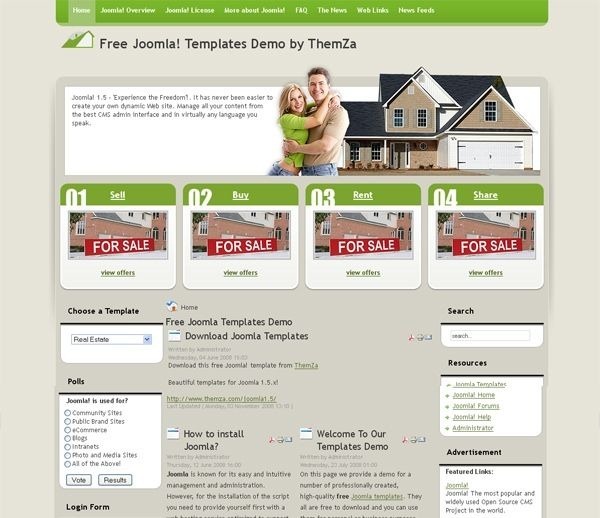 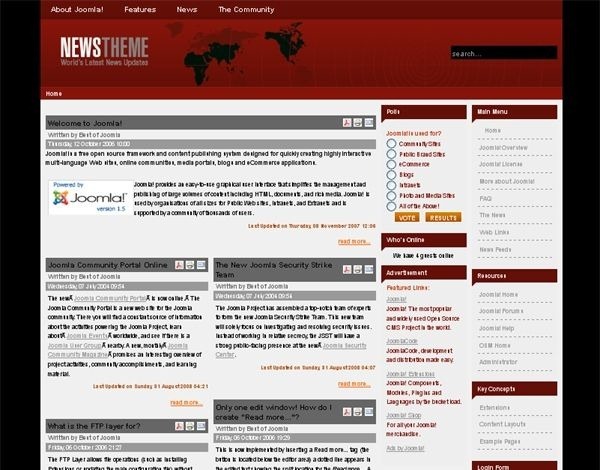 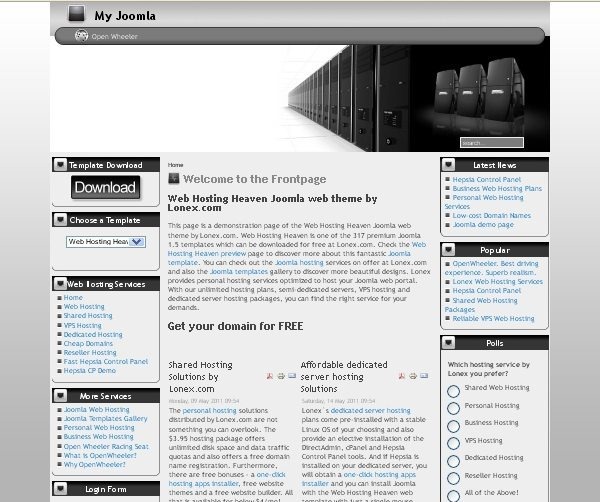 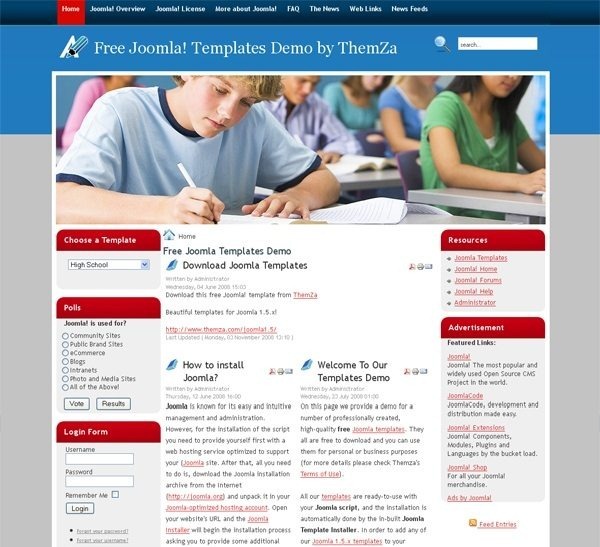 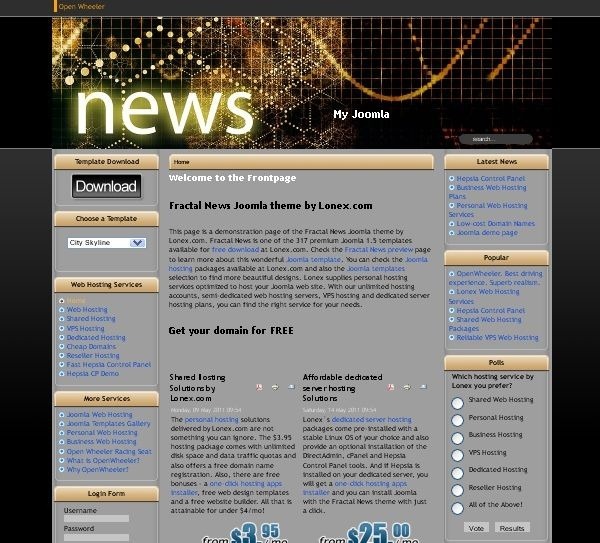 Loads of free joomla templates are available all over the web. 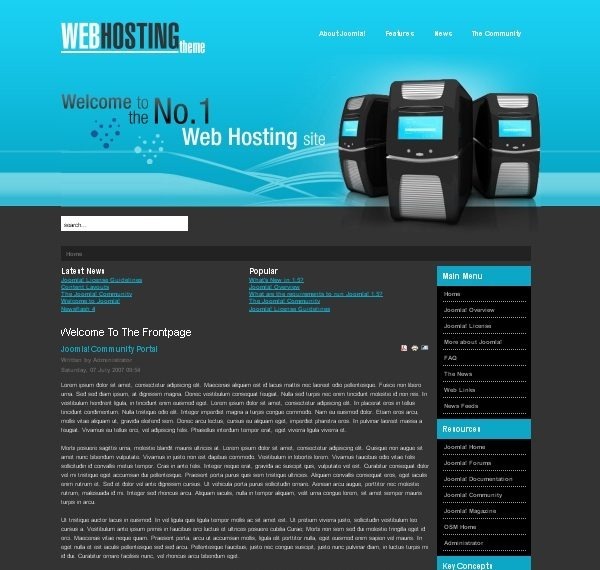 But, finding the best ones is a tricky business! 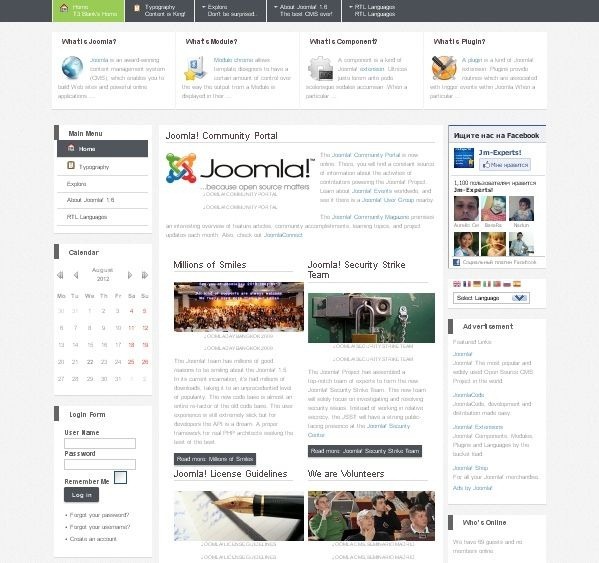 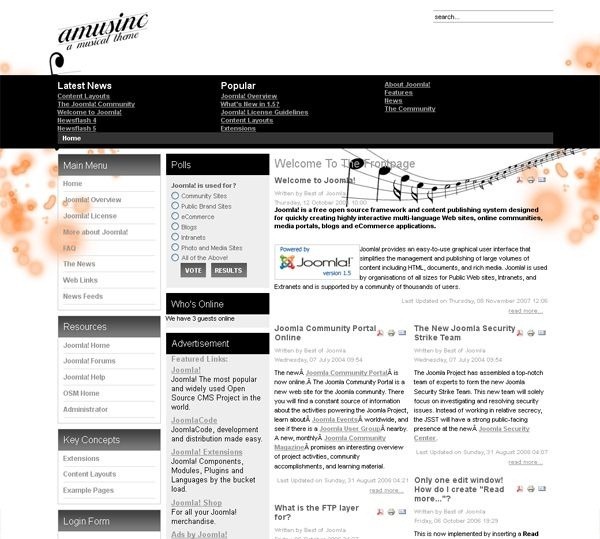 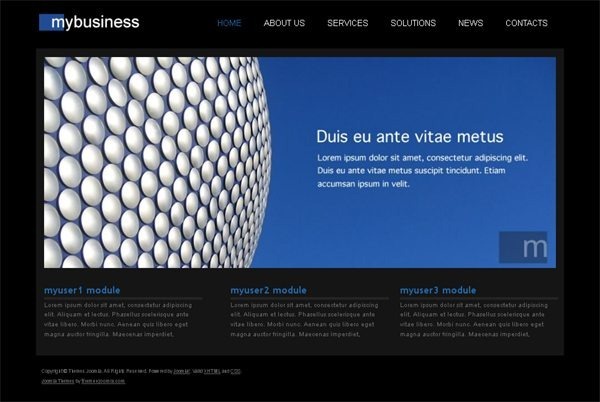 Another great thing about the Joomla CMS is that it is flexible when it comes to design. 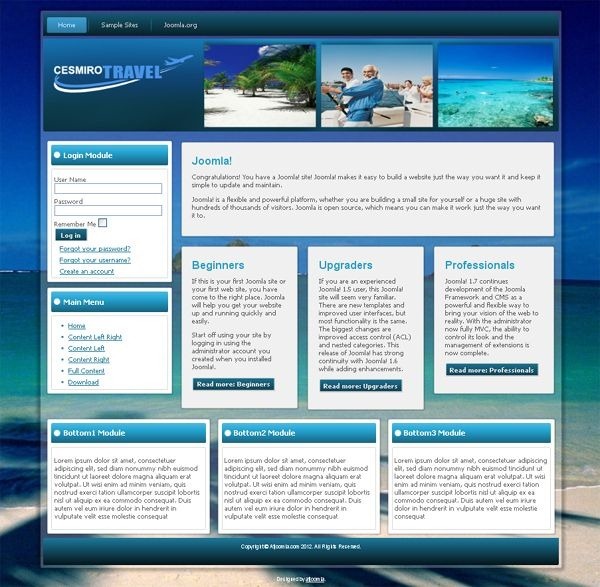 Here you have a few options – a custom design or a template, and whatever option you choose you can make your web page look exactly the way you want it. 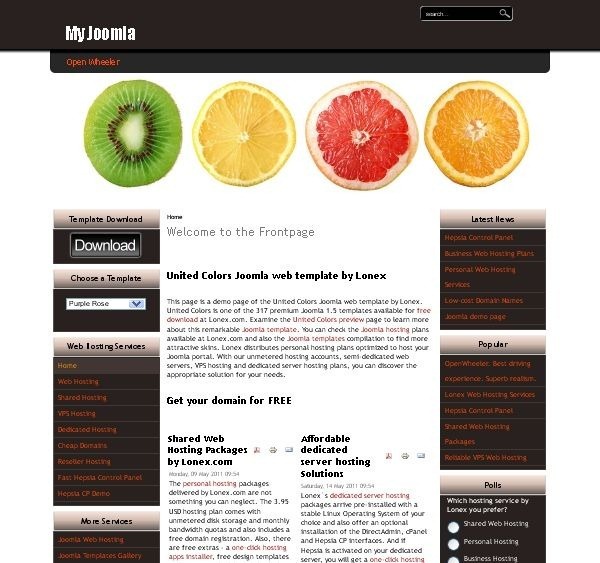 Now, let’s imagine you want your web site to be powered by Joomla, but you can’t afford a custom design or a premium Joomla template now, then why don’t you see 50 free Joomla templates listed below? 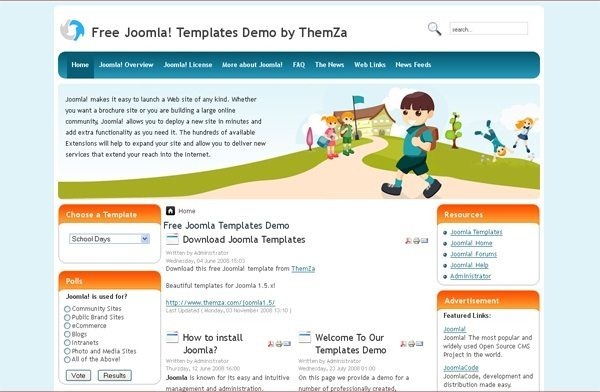 Please note: The Joomla templates featured in this article come from different companies, but all of them are free to download and use. 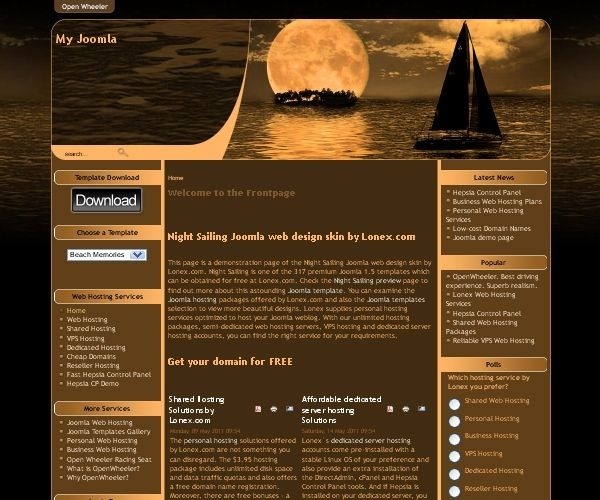 For your convenience, the templates are arranged into 10 categories, such as Business, News, Real Estate, Travel, Health & Beauty, Sports, Portfolio, Personal Blogs, Hosting and Education. 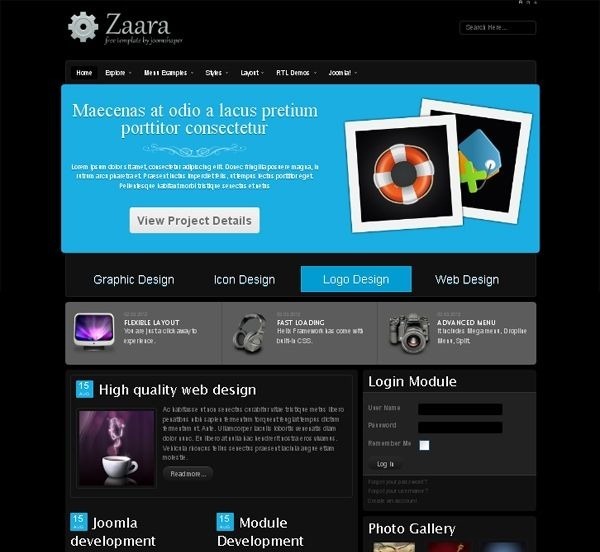 This way, no matter what kind of website you’d like to build, it will not take you a lot of time to find the design you’re looking for. 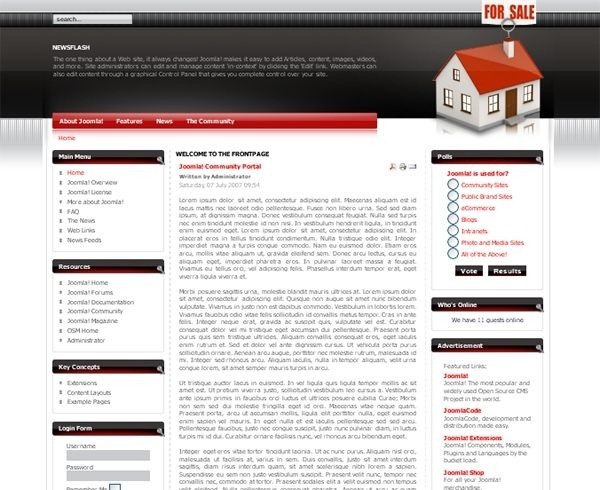 Helen Bailey is a Marketing Assistant at TemplateMonster. 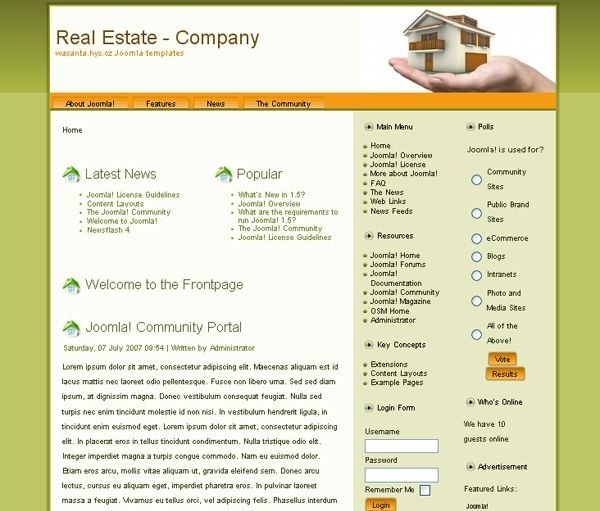 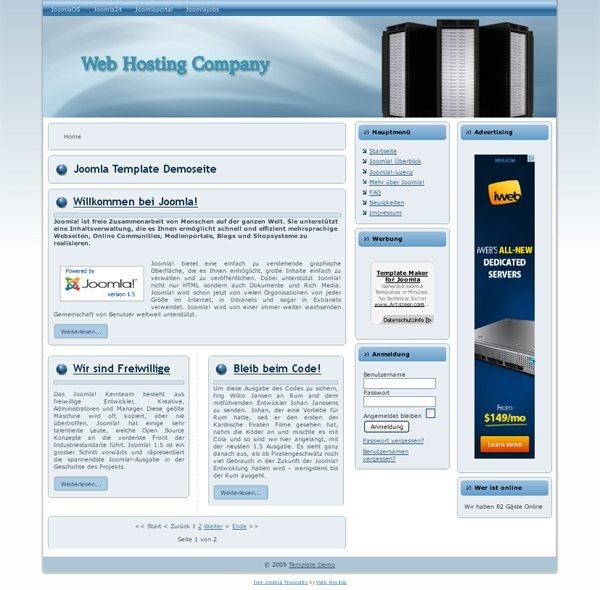 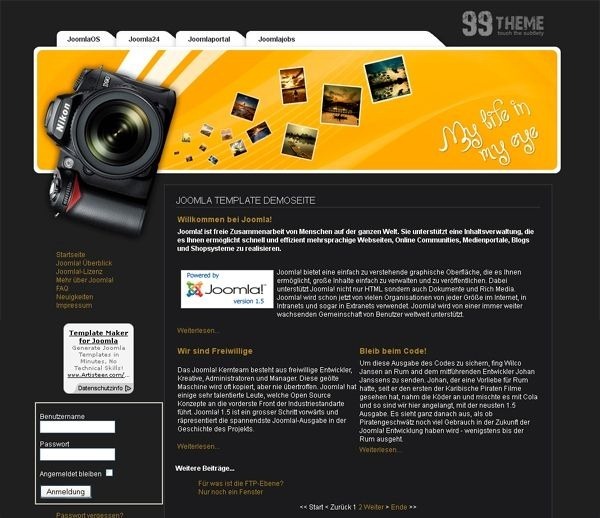 The company is offering business Joomla templates and many other templates that allow users to build Joomla sites. 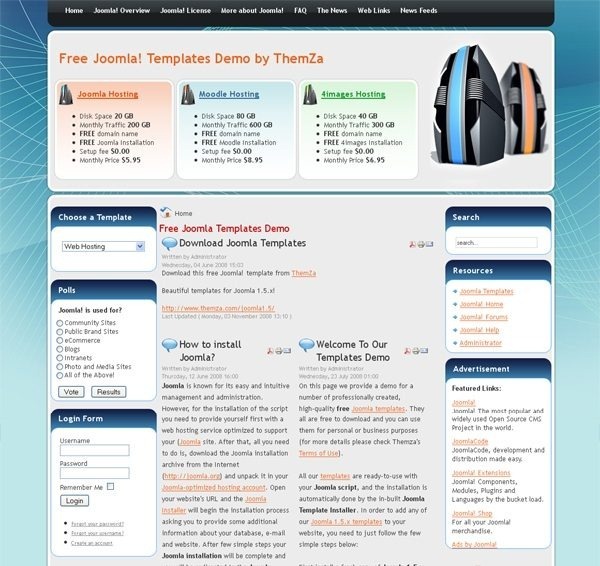 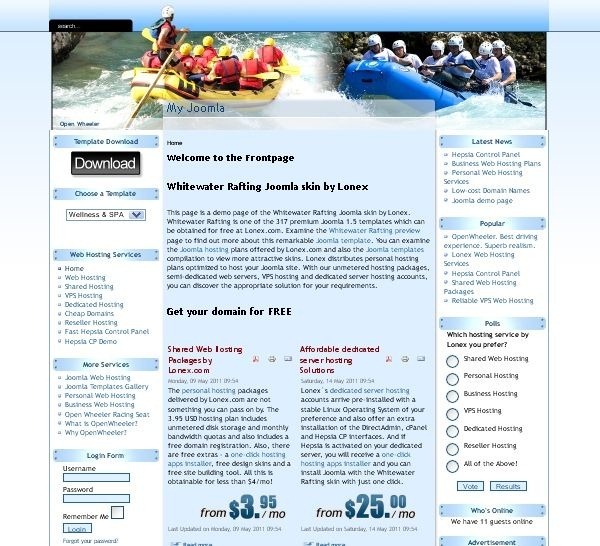 The best thing about Joomla templates from TemplateMonster.com is that free support is also included. 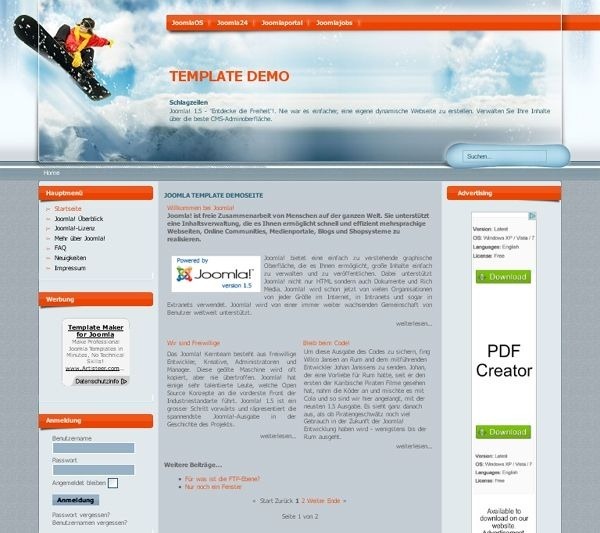 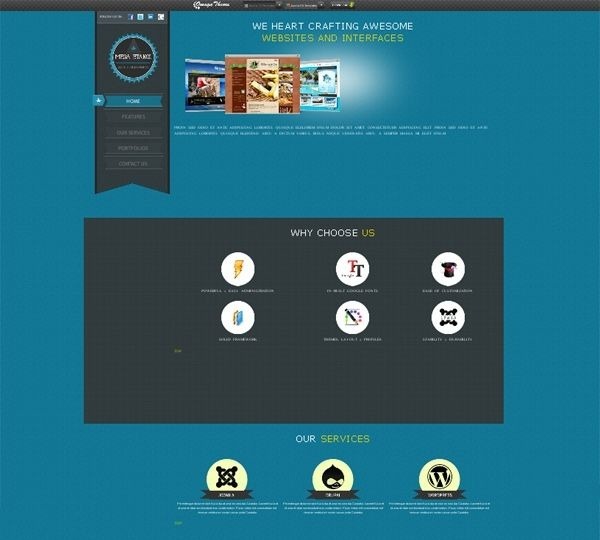 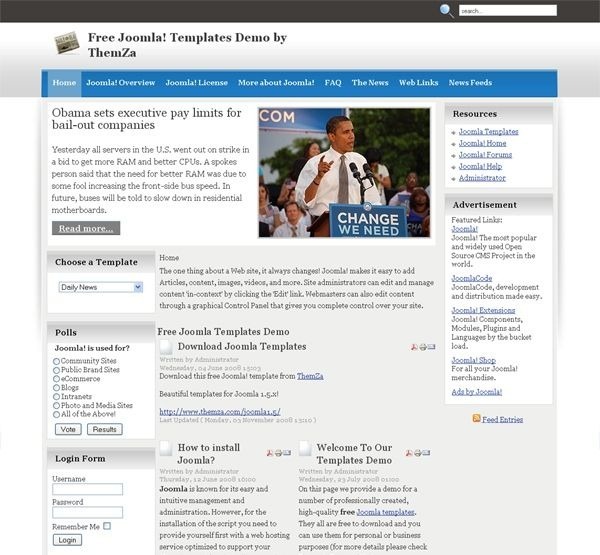 Template Monster – who has written 1 posts on Demortalz – Get Inspired. 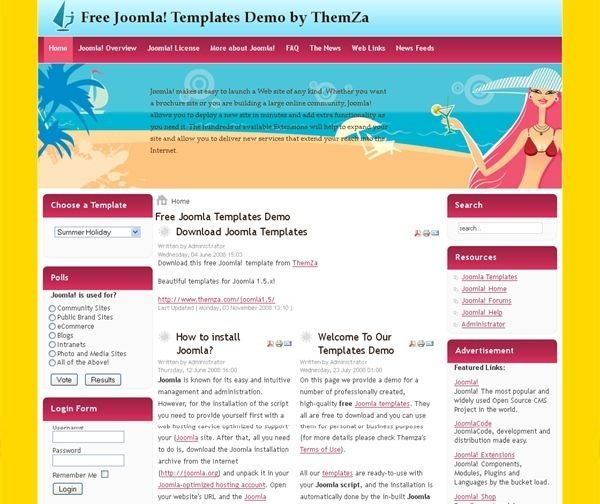 Thanks for posting these awesome templates! 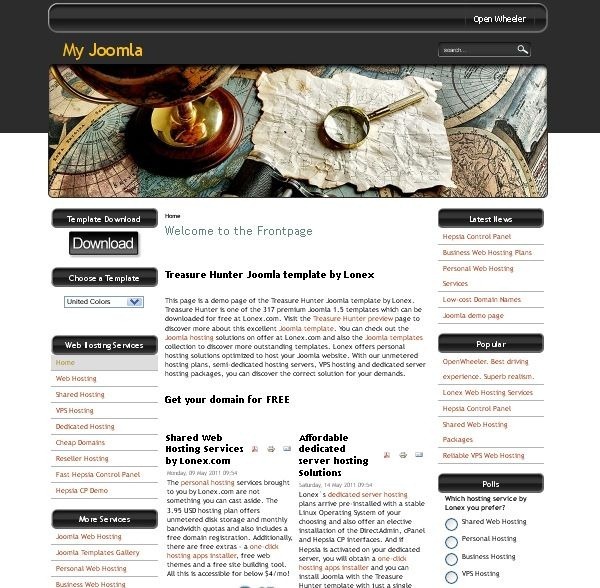 I am still getting used to Joomla but these will really help!